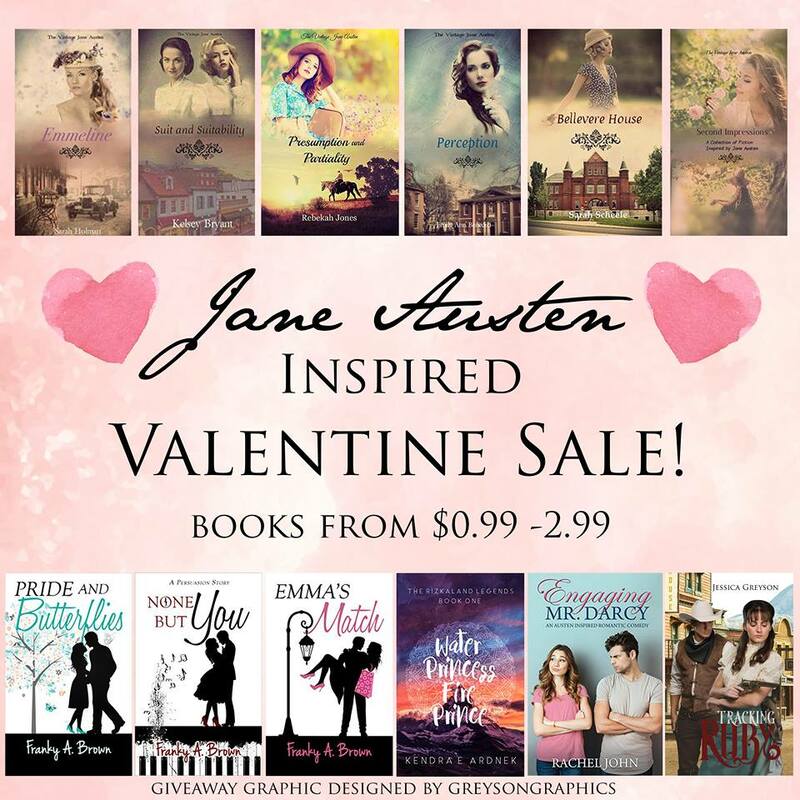 Emmeline by Sarah Holman: Christmas in July Sale! 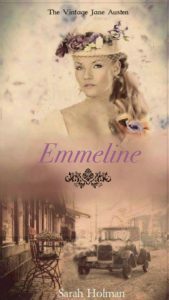 The ebook version of Emmeline by Sarah Holman is discounted today! 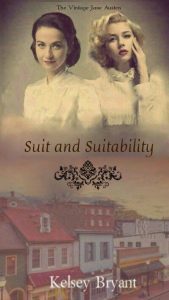 If you haven’t read this retelling of Jane Austen’s classic novel Emma, set in the 1930s, you can pick up a Kindle copy for only $0.99! 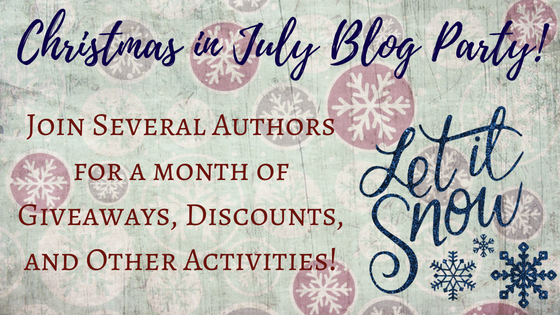 Watch for more Vintage Jane Austen sales this month as part of the Christmas in July blog hop. 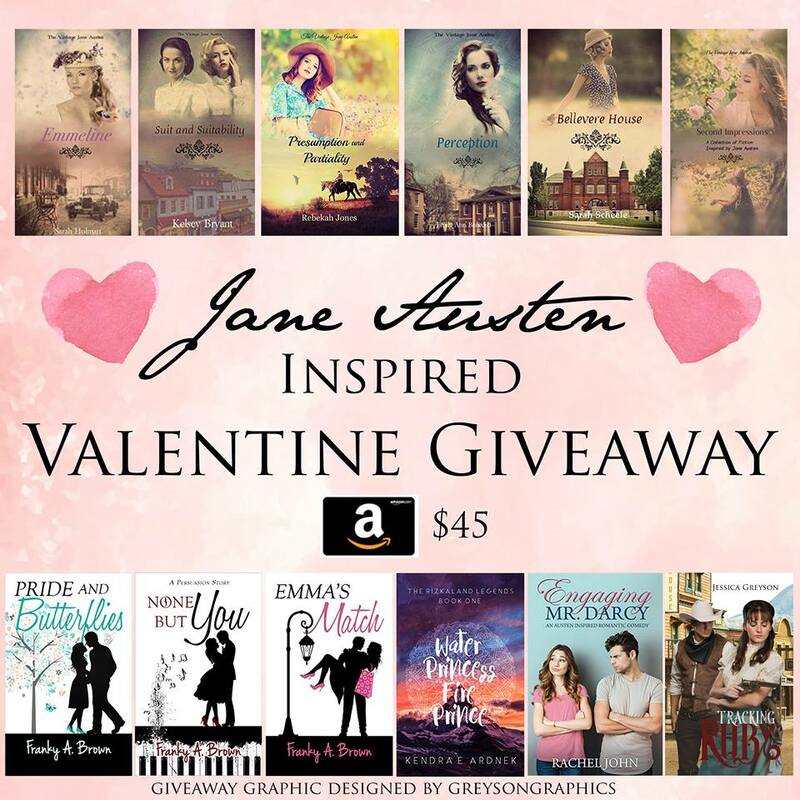 You can also enter a giveaway for a prize pack including an audiobook version of Emmeline! 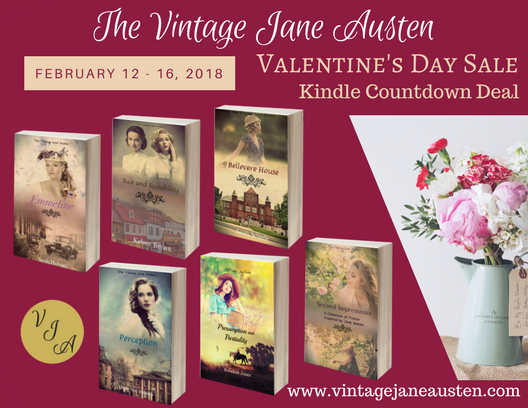 It’s the last day of the Vintage Jane Austen Blog Event! We hope you’ve enjoyed it as much as we have. If you missed the previous days, you can find them all linked here. Did you miss them before? Check out these other interviews! 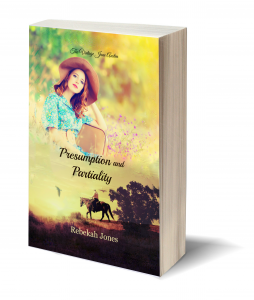 Don’t forget that Presumption and Partiality by Rebekah Jones (retelling of Pride and Prejudice, in 1930s Arizona) will be releasing soon! You can sign up for updates on the series so you’ll be appraised of its release, below. Thanks for reading and coming along with us on the Vintage Jane Austen Blog Event! 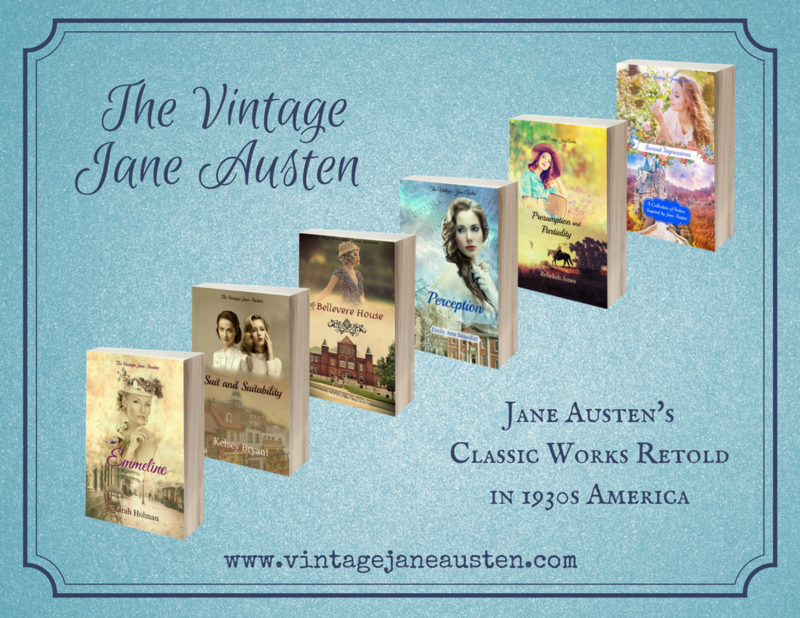 Curious to know more about the 1930s research for the Vintage Jane Austen series? 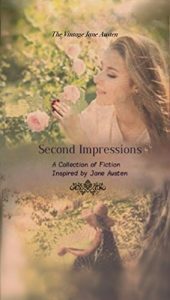 Read Kelsey Bryant’s posts about discovering this time period. Don’t forget to enter the giveaway for a $25 Amazon gift Card.